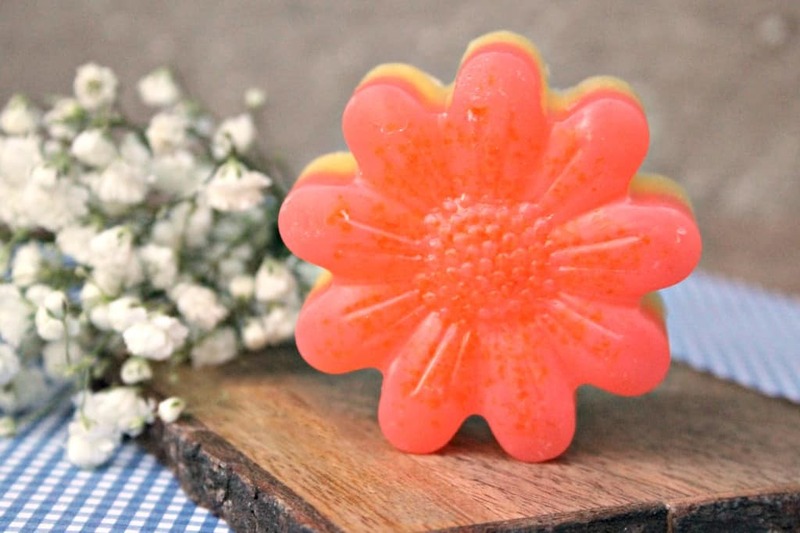 How stinking cute is this essential oil soap?! It is super hydrating for your skin and smells wonderful too. I had never tried making soap before and didn’t know what it entailed, so I called in an expert friend on this one. 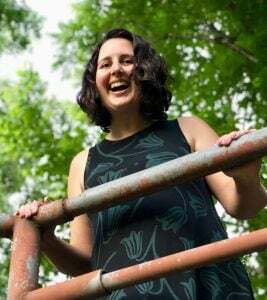 We spent an afternoon creating and laughing and repeatedly pointing out how much better she is at taking pictures than I am. For this tutorial you not only get great instructions, you get a beautiful photo of every step of the process. 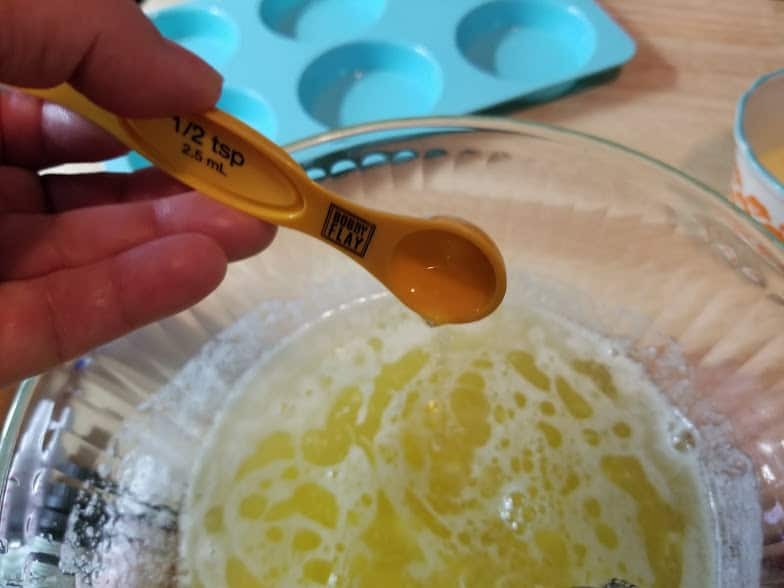 Making the essential oil soap was easier than I thought it would be, but I never expected her to put an egg in it! 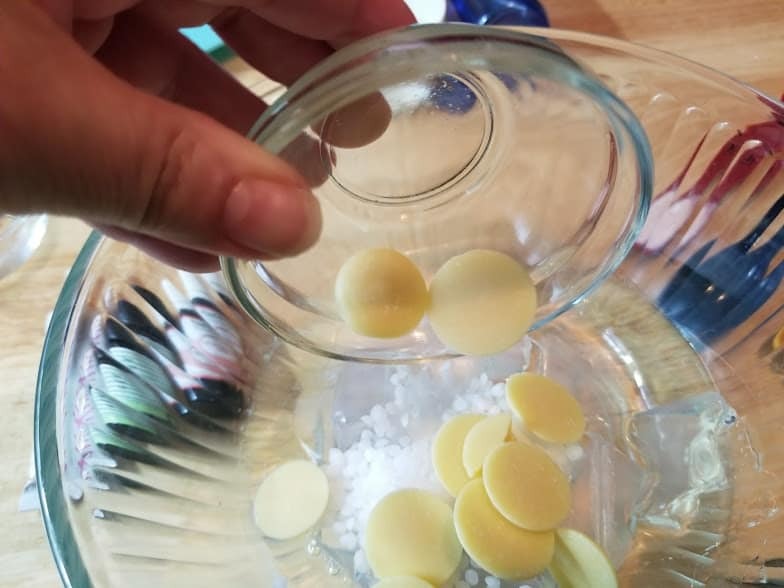 The most difficult part of making essential oil soap is gathering the supplies, which isn’t difficult at all! 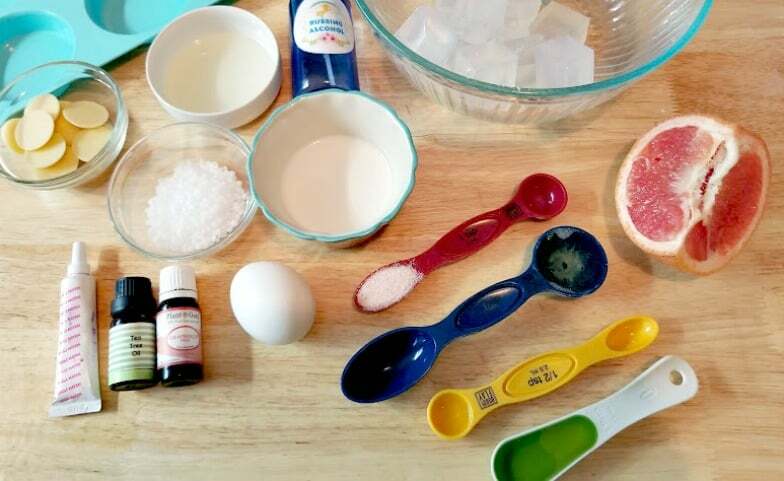 If you don’t make soap often (or ever) these supplies are probably spread out in your home (grapefruit in the kitchen, essential oil in the bathroom, etc.). 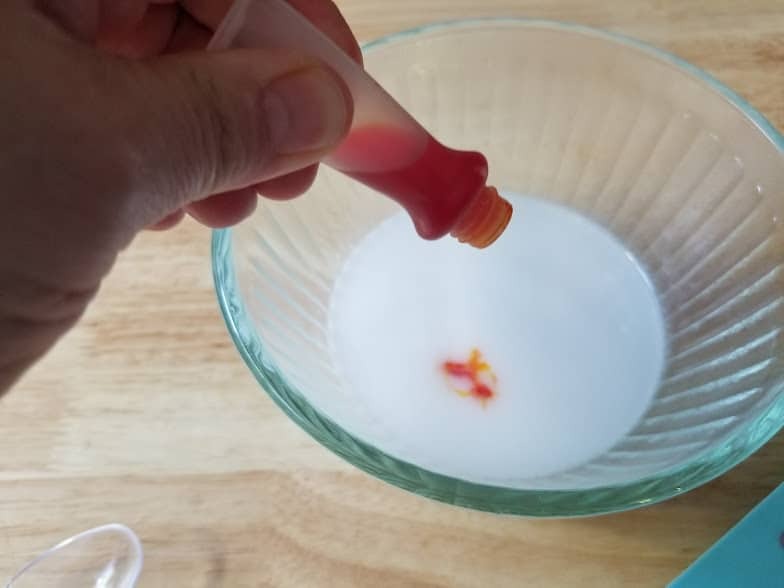 Get them all out and on your work surface where you can grab items quickly because they will need to be added to the soap base while it is melted. Many of the supplies are linked below in case you need to order something. 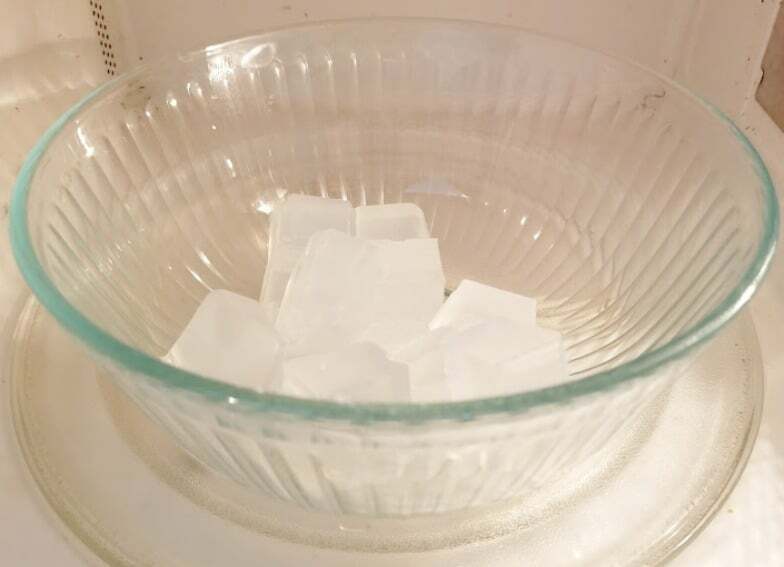 Step 1: Cut the soap base into squares and place into a microwave safe bowl. Heat for 30 seconds. Step 2: Add cetyl alcohol and cocoa butter to bowl. Microwave for 30 seconds. Continue to heat in 30 second intervals until completely melted. Step 3: Add coconut oil. Step 4: Add olive oil. 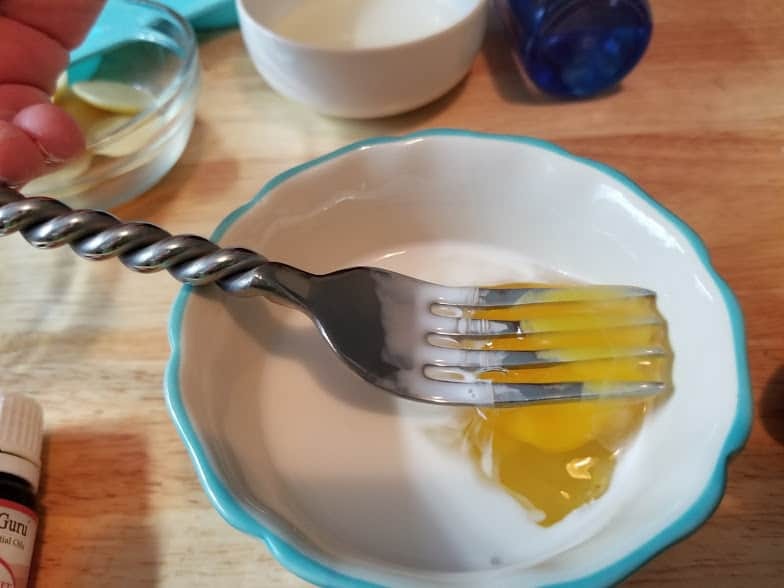 Step 5: In a separate bowl, add egg yolk and cream. Beat gently. 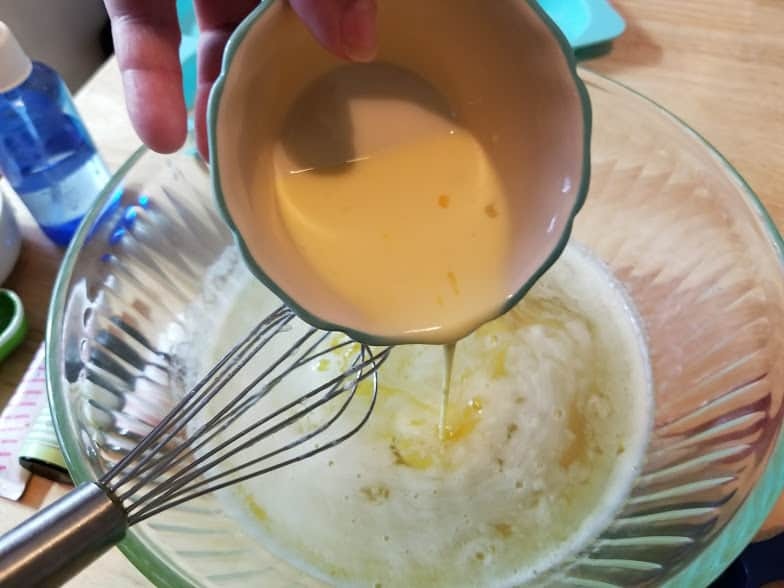 Step 6: Add egg mixture to the COOLED soap base. 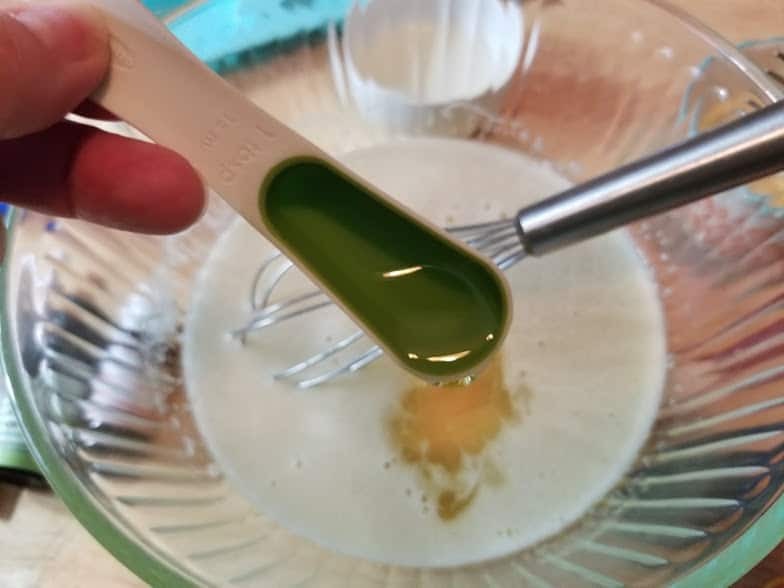 Wait a few minutes for the soap base to cool, or the egg will cook. Step 9: Add sea salt. 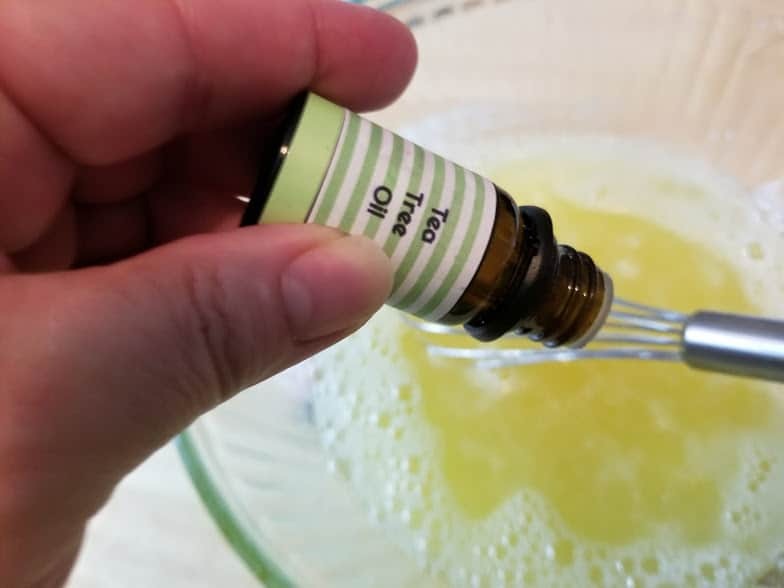 Step 10: Add tea tree essential oil. 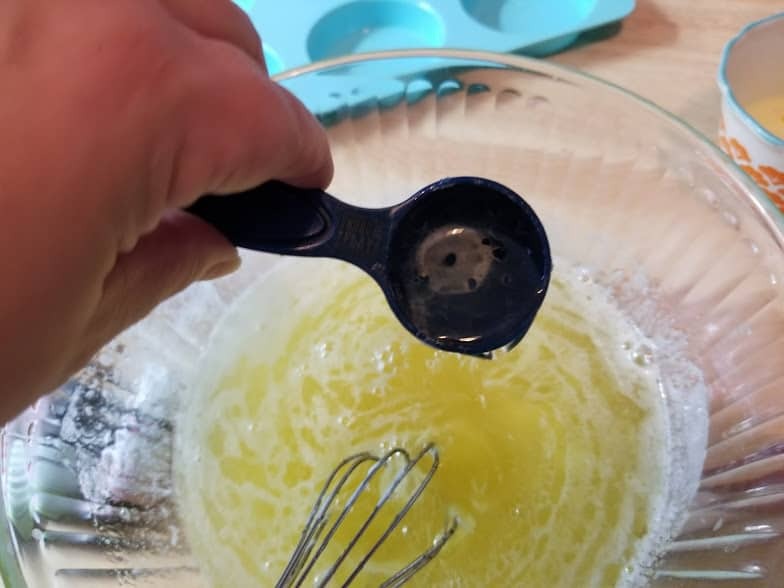 Step 11: Add grapefruit essential oil. 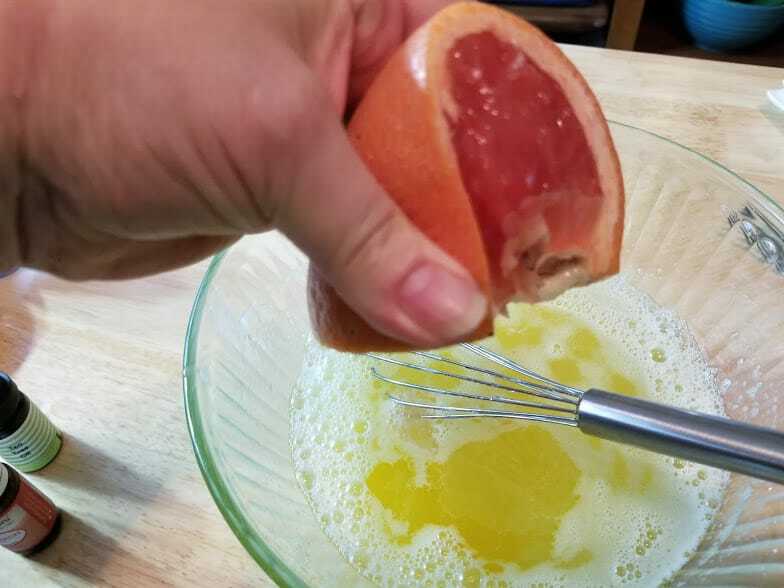 Step 12: Add grapefruit juice, and mix well. 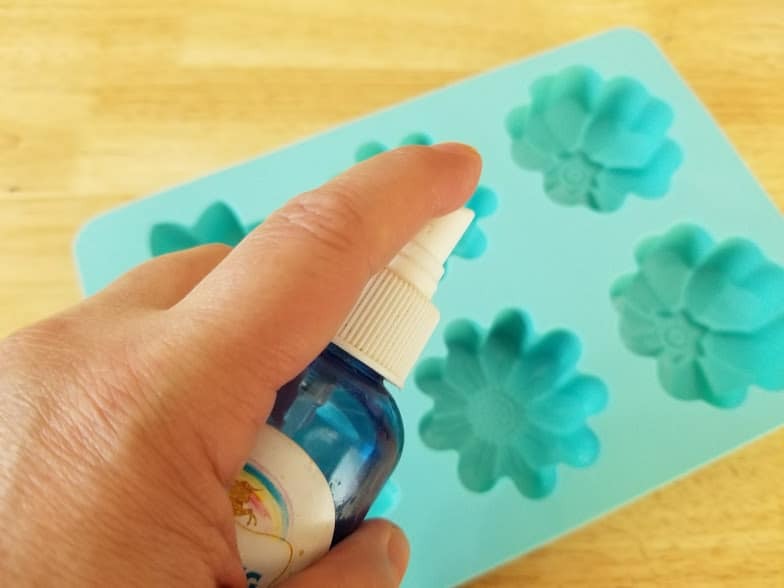 Step 14: Spray the bottom of the soap mold with rubbing alcohol. Step 15: Fill each mold halfway with the pink soap mixture. 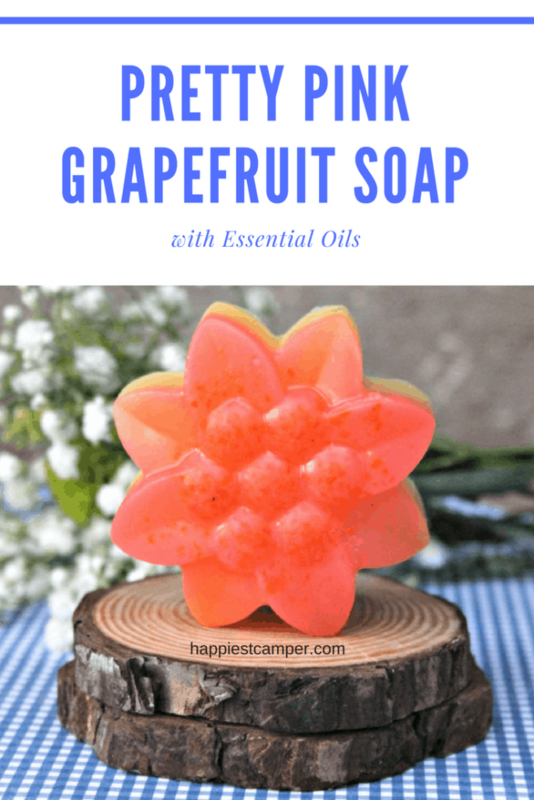 Spray the top of the soap with rubbing alcohol, and allow the soap to harden for two hours. 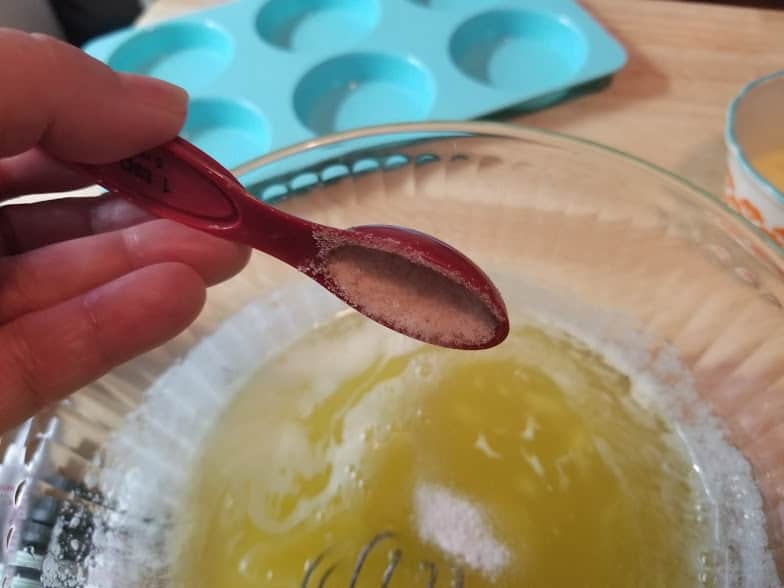 Step 16: When the pink layer is hardened, gently fill the each mold with the yellow soap mixture. 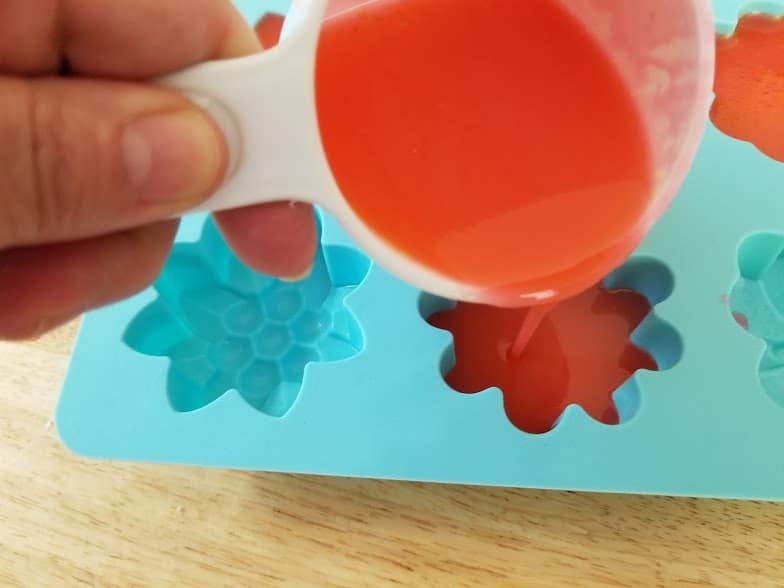 Spray the top of the soap with rubbing alcohol, and allow it to harden for an additional two hours. Gently pop the soap out and store in an airtight container or bag until ready to use. 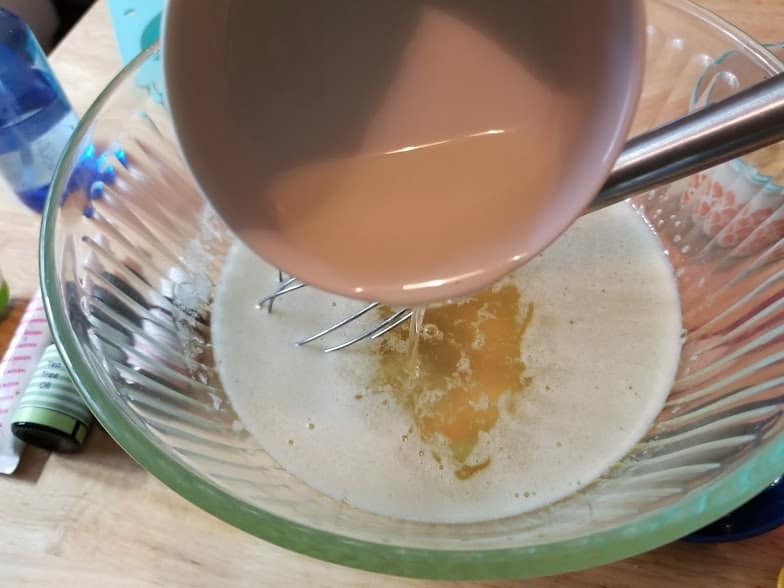 The cocoa butter, heavy cream and egg yolk make this soap super hydrating for your skin. They are perfect for gift giving too. 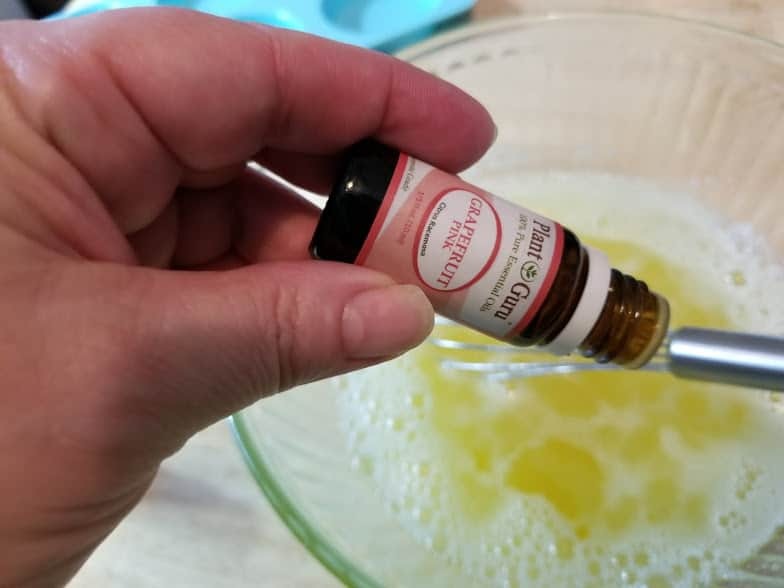 Combine an essential oil soap with a wash cloth soap holder for a practical and thoughtful teacher appreciation gift, add it to a gift basket, or just give it as is. 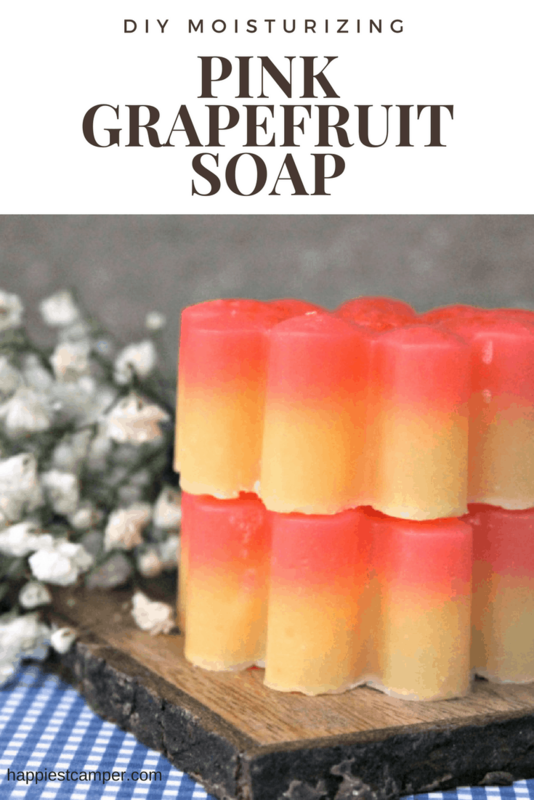 I know I would love to receive handmade soap!